Smoking is prohibited in plenty of public places these days, but for folks who just can’t quit, why not do something positive for the environment with the product of that habit? 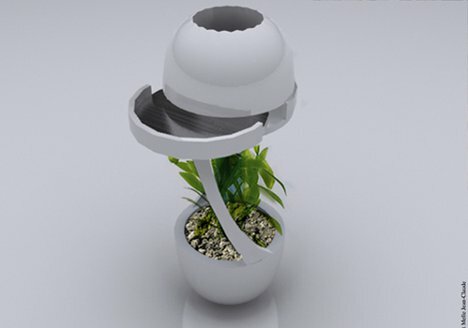 The Cindy ashtray also happens to be a planter – one that uses cigarette ash to fertilize plants. Cindy was created by French design collective Mademoiselle Jean-Claude. 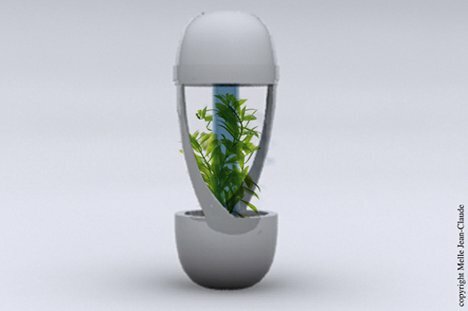 The minimalist white planter looks and functions like a regular ashtray for all intents and purposes. Cigarette butts are put out in the hole in the top of the planter. 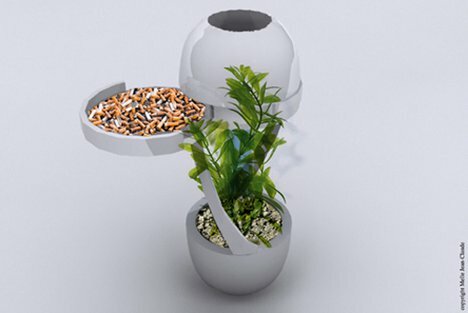 The design of the planter allows ash to fall through a pipe all the way down to the bottom of the planter, but not the butts themselves. A small, barely noticeable drawer near the top of the planter allows caretakers to remove and dispose of the discarded cigarette butts. 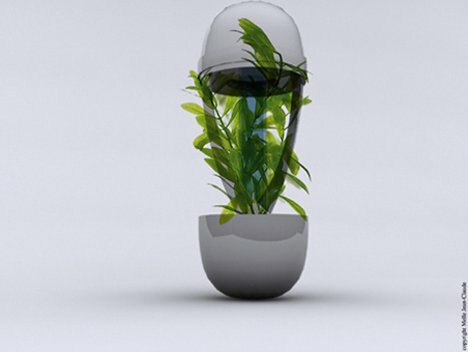 In theory, the ashes nourish the plant and help it to purify the air in the smoking area. In practice, however, it isn’t clear whether this technique would actually work. It doesn’t seem possible that cigarette ash would contain many useful nutrients. 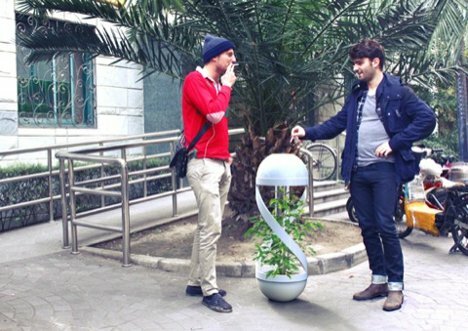 As a conceptual product, the Cindy is a quirky and lovely way to beautify an urban setting.